The Reclaimed Roofboard Paneling is an innovative product developed from a source most throw away. Roofboards sit underneath your shingles and are exposed to the harshest of environments. They are baked in the sun, soaked in the rain, and tested by years of wind and other weather. As roofs are patched and replaced these boards gain their fair share of nail holes which is why you will see enhanced character, color variation, and even some texture. This is the character that gives this paneling a one in a million look. 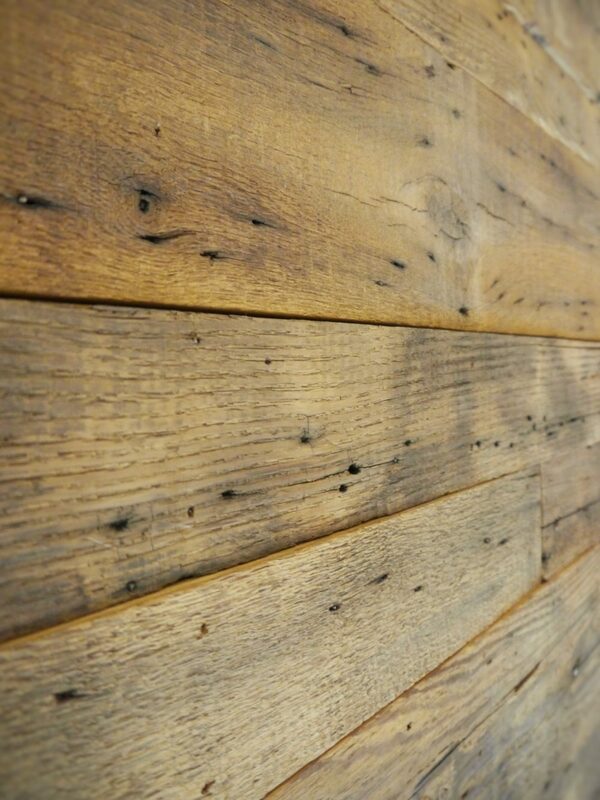 Our Reclaimed Roofboard Paneling comes from Antique barns, homes and other structures that were weathered over time. Boards can be a mixed specie and wear at different levels.